Today’s post was written by John Jendrezak, accessibility lead and partner director of program management for the Office Engineering team. Tomorrow marks the 2016 International Day of Persons with Disabilities (IDPD), and this year’s theme focuses on laying the foundation for a future of greater inclusion for persons with disabilities. In honor of IDPD, we invite all Office 365 customers to lay the foundation for a more inclusive digital environment by discovering and using accessibility capabilities built into Office 365. Office 365 empowers you to communicate information to your colleagues and customers in a variety of ways: documents, presentations, spreadsheets, emails, chats, sways, notes, videos and more. As you communicate, it is important to meet the diverse needs of your audience. Making your content accessible ensures it can be used without barriers by people with varying levels of vision, hearing, cognition and mobility. 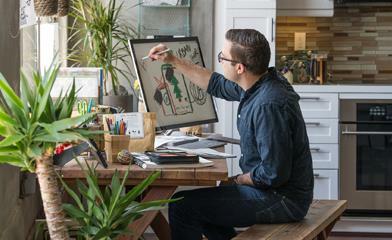 Hundreds of accessible templates are already available in Word, Excel and PowerPoint for PCs and Macs with more coming. The Link Gallery is coming soon to help you efficiently insert links to recent items in Word, Excel, PowerPoint and Outlook for PCs. File names will automatically be added as display text for links inserted via this new control. Accessibility checker—Before sharing content, you can run the accessibility checker to find and fix any issues that might make your content difficult for people with disabilities to use. The accessibility checker is now easily discoverable in Word, Excel, PowerPoint and OneNote for PC applications via the Check Accessibility button under the Review tab. It is also available in Visio for PCs and several Office for Mac and Office Online applications. It not only finds accessibility errors and tells you how and why to fix them, but also links to detailed support articles on creating accessible documents, accessible spreadsheets, accessible presentations and accessible emails. Office 365 applications receive regular updates to ensure they can be used seamlessly with assistive technologies and ease of access settings, as outlined in our 2016 accessibility roadmap. Also, new settings are built into applications to empower you to personalize your experiences to suit your needs. Earlier this year, we made you aware of key accessibility updates released in the second quarter and those released in the third quarter. In Skype for Business for PCs, we made it possible for screen readers to give automatic announcements of conversation invites, incoming instant messages and alerts, as well as changes to mute, video and screen sharing states. We also made it efficient to navigate through the main regions of the application using “F6” and take quick actions after selecting a contact by pressing Enter. Learn more about keyboard shortcuts in Skype for Business in this article. In OneNote for Windows 10, Mac and iPad, we’re introducing an entirely new design to provide screen reader users a better navigation experience across notebooks, sections and pages. Currently available in preview, this can be enabled in the app settings by following the steps in this OneNote support page. In Office Online, we made it possible to use access keys to navigate through the ribbon efficiently without a mouse. 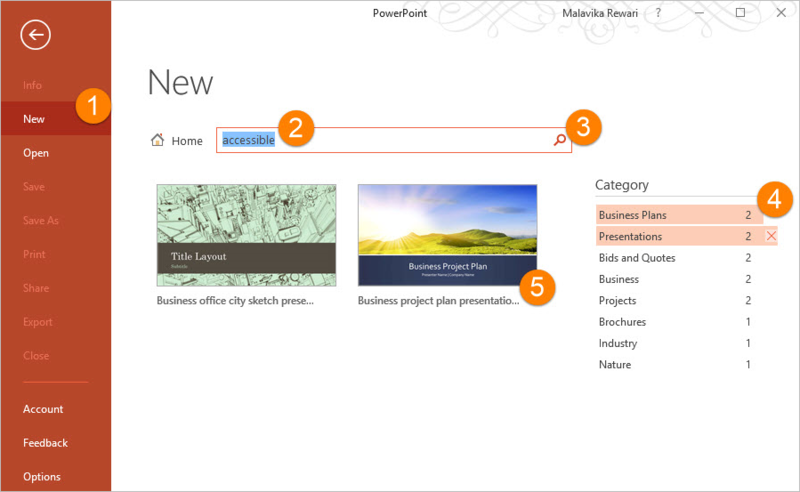 Read the article “Accessibility in Office Online” to learn more about keyboard shortcuts. In Office Lens for iOS, we made it possible to capture images with real-time voice guidance through VoiceOver. Learn more about Frame Guide for Office Lens in this blog. We’ve made hundreds of additional improvements, including making it possible for screen reader users to work effectively in documents with Math equations, comments and real-time co-authoring in Office for PCs. 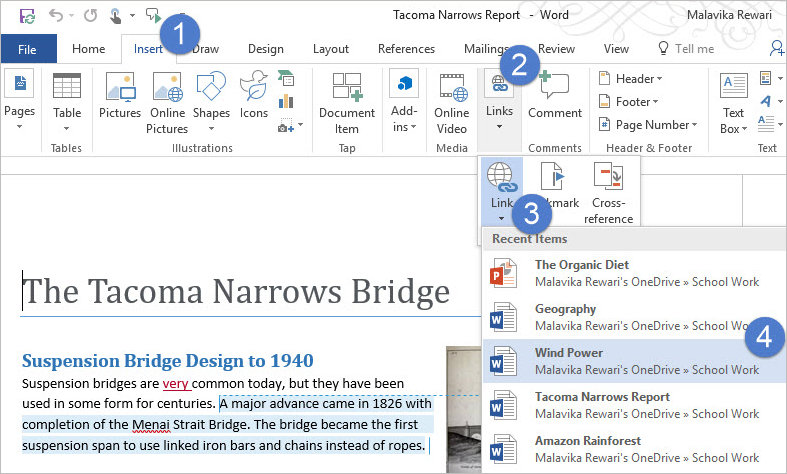 Learn more about these improvements in the following articles: What’s new in accessibility for Word, Accessibility for Excel and Accessibility for PowerPoint. The Office 365 team is committed to empowering organizations to remove barriers faced by persons with disabilities when accessing digital resources. We are committed to building technology that helps enable equal opportunities for everyone to achieve their goals. We believe that empowerment begins with inclusion, and inclusion requires action from all. Stay tuned to our Office 365 accessibility blog series for more updates to enable greater digital inclusion. Q. How can I be the first to get the Office 365 enhancements described in this blog? A. You can be among the first to start leveraging the capabilities described in this post to make your digital environment more accessible by getting Office 365 and signing up for Office Insider or First Release options with Office 365. Q. How can I confirm that Office 365 applications meet the accessibility requirements for my organization? A. Review our latest conformance statements that demonstrate how Office 365 applications conform to the accessibility criteria of modern accessibility standards via our pages for WCAG 2.0 AA reports, EN 301 549 reports and U.S. Section 508 VPATs. Q. How can I get help with accessibility issues? A. Visit the Office Accessibility Center to find support articles on creating accessible content with Office 365 applications on various platforms or on using Office 365 applications with specific assistive technologies. If you require further assistance, reach out to an accessibility specialist via the Enterprise Disability Answer Desk or Consumer Disability Answer Desk. Q. How can I give feedback to the Office 365 team working on accessibility? A. We welcome hearing about your experiences with our products either via @MSFTEnable or via the Microsoft Accessibility Feedback Forum. You can also meet with us in person at our showcase suite at the 32nd CSUN Assistive Technology Conference in San Diego, California, from March 1–3, 2017.